Are you using the latest D5000 Driver Package from Dell’s Website? WiGig is a new technology, and the Software for it is being updated very often these days. Any update on this issue? I have a Dell Latitude E7440 and a D5000 wireless docking station and I am experiencing the same problem with a lot of mouse and keyboard lag. Dell asked me to reinstall the laptop and install the latest drivers, but that did not work either. They asked me to disable the touch screen, and ofcourse this did not work either. We cannot work with the D5000 wireless docking stations, and for us it has been a few 100 euro’s loss. They now want to replace all motherboards in the Laptops which is just ridiculous. I guess we are set back to the E-port docking stations again. It is quite annoying though that Dell does not seem to bother and is not willing to test anything. Still haven’t found the solution. HD video works perfectly on the Dell D5000 wireless dock, but on ‘dense’ webpages or applications, like phpmyadmin / notepad++, mouse behaviour is very unstable. When undocked, no problems whatsoever. I’m using the D5000 in combination with a Dell Precision m4800 at work. I’m having the same problem. It’s unbearable to use the dock with this kind of lag. With the keyboard it could be still okay but the mouse lag is very noticeable. If anyone has a solution please advice. Find the same issues. One way to make things better. I used the dell docking manager to review the bandwidth of the connection. If you close the lid, you loose all the bandwidth. So I have mine open and 20cm away from the dock. Works ok, not perfect still gets lags. Dell seems totally ignorant of the issue. I took a chance on 3 D5000 wigig docks for 3 new laptops we just purchased at my office, and 2 of them have been stable and without any real issues. The other doesn’t connect automatically, needs to be powered off and back on to work, and has been dropping connection a lot. The mouse cursor lags on web pages and in our Revit Structural software. I’ve updated drivers and firmware, switched this and the neighboring user to different channels to eliminate possible interference. The 3 laptops were all identical M4800 Precisions. This user really wants to have his dock and laptop under his desk to keep his desk clear for drawings he’s reviewing, while the other 2 users have theirs up on the desks without any observed issues. 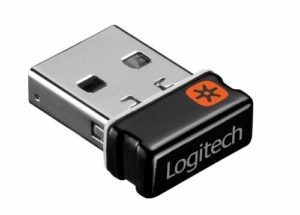 We’ve also been using a Logitech unifying receiver (sold to us by Dell) plugged into the dock. We’re about to try a longer network cable so we set him up on the desk and see if that helps. 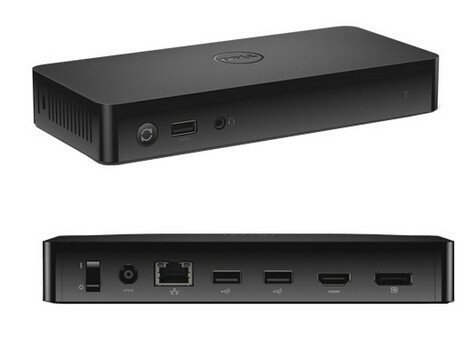 I did notice today that the Dell site specifically discourages setting the dock on the floor. Did anyone try the new wireless docking station? Dell D3100 (USB 3.0)? I have DELL E7440 and I am trying to connnect with DELL D5000 dock station . but unable to connect . I tried all support given dell customer care. but still facing issue to e7440 with d5000. do you have valid reason or answer for compatibility issue for this .. It looks like this has been resolved with a recent Creative Cloud update.